Are you asked to babysit your little siblings, or perhaps your cousins, nieces or nephews and you ran out of ideas on how to entertain them? 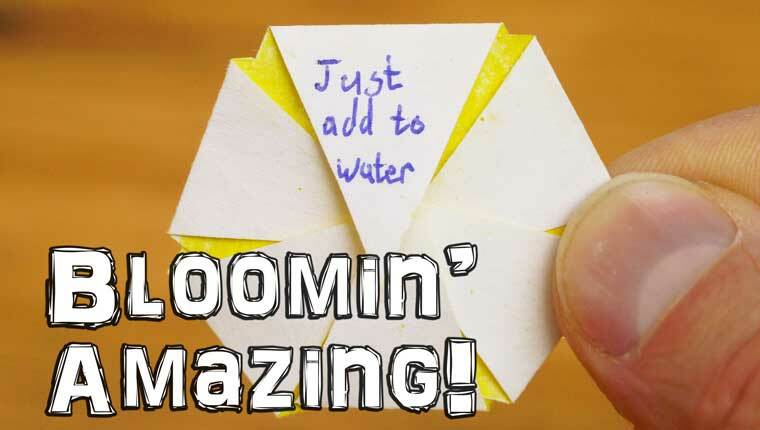 Then this blooming paper flower is for you! This cute little trick is really simple to do. You just need to prepare papers, coloring materials, water and tray. Make the flowers by drawing two circles: one big circle and one smaller circle inside the bigger one. Decide how many petals would compose your flower, draw them and then fold them well inwards. Don’t forget to color it with bright colored pens to attract the attention of the little ones. Markers are a better choice over crayons because their color do not easily fade. Make tons of it to create a more magical effect, then put them all at once in a tray filled with water and see the magic happen. The paper flowers will slowly bloom as they float on the water. A sure fun way of putting some smile to the face of the little children. Not only would they enjoy your company but you will also be their fave person already. Hurray!